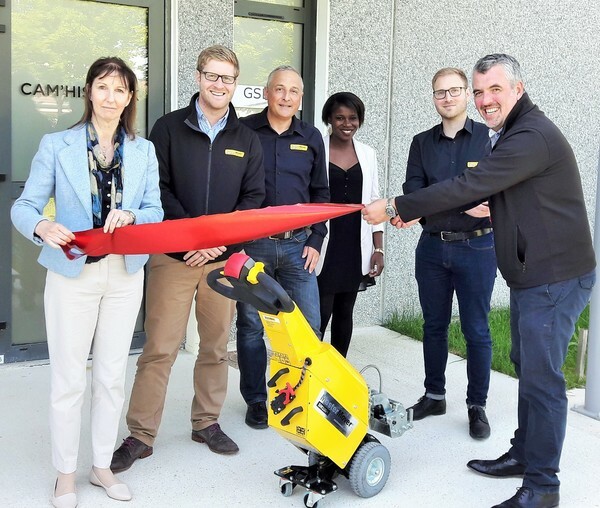 Electric tug manufacturer MasterMover has expanded across The Channel, with a new sales and service office near Paris. The company, which has its international headquarters in Ashbourne, Derbyshire, has opened the facility in the Bailly-Romainvilliers region. From there, MasterMover is providing sales support, a parts facility, site evaluations and demonstrations, as well as a servicing centre. The investment reflects the importance MasterMover places on the French market, where the company’s pedestrian electric tugs are gaining ground, delivering safety and efficiency benefits in sectors including aerospace, general manufacturing and food and drink. It also reinforces MasterMover’s overall commitment to international expansion. The company already has offices in America, Brazil and Germany, as well as agents and dealers serving 29 countries. Andy Owen, Managing Director of MasterMover, said: “France is an important market for us and we want to be in a position to support the customers as best we can by setting up a local office.